Wraps came off a new series of Bobcat excavators at Conexpo. 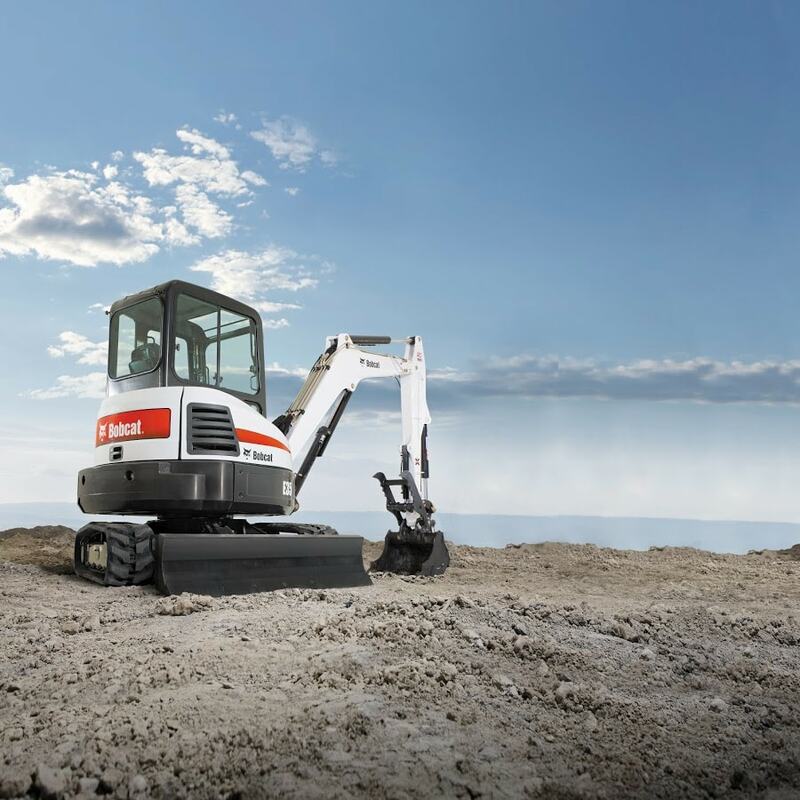 Called R-series, the first two models include the E32 and E35 in the three- to four-tonne class. Replacing the M-series, the new models are said to offer improved stability over the side by up to 15% over their predecessors, thanks to double-flanged rollers that extend the undercarriage closer to the edge of the rubber track. A new design of integrated counterweight is said to further lower the excavator’s centre of gravity. The cab features 15% more glass than its predecessor, and the blade offers a greater range of downward movement to help stability on steeper slopes.